The History of Cantley by R.A.J. (Bob) Phillips in September, 1989. 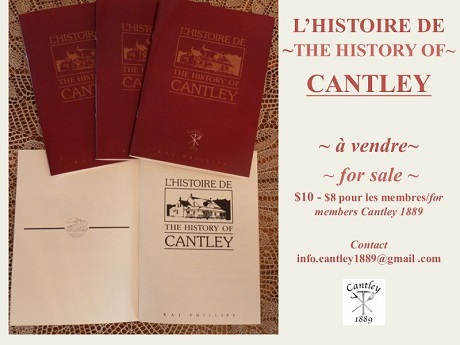 We are proud to announce "The History of Cantley" has just been reprinted - the only book about Cantley's history- with thanks to "Cantley 1889" and the Municipality of Cantley. Available by contacting info.cantley1889@gmail.com ($10 - $8 for members).